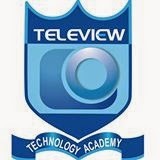 Teleview Technology Academy is one of the leading institute under Video production and Television Industry . So many peoples who related in to television industry has great opportunity to study under this institute. This institute has over two decade experience in television industry. Following are some course which offers by television Technology Academy. For more details contact bellow for get more and more information's.